Gutters, or eavestroughs as they are better known in Canada, are installed along the edge of a roof to direct the flow of water when it rains. Without gutters, water finds its way down to the ground whichever way it can. Some of it will drip off the edge of your roof, damaging the lawn and garden beds. Some water may run down the walls of your home, damaging siding and concrete foundations and even finding its way into the interior of your home. Gutters are a vital part of your roofing system. They are designed primarily to keep rainwater from collecting around the foundation of your home, preventing basement flooding. Water damage to a concrete foundation can be extremely costly to repair. It is always best to prevent water damage before it occurs and a good gutter system can help you to achieve that goal. The next time you inspect your roof, take a look at your gutters as well to make sure that they are functioning properly. Gutters can become clogged with fallen leaves and other debris. Gutter guard systems can be installed, which prevent leaves from congesting your gutter system. This might be a worthwhile investment if you have a number of trees near your house. Roofmaster Ottawa also installs these upgrades to your gutters for a fair price. Gutters can also become bent, damaged or pull away from the roof. 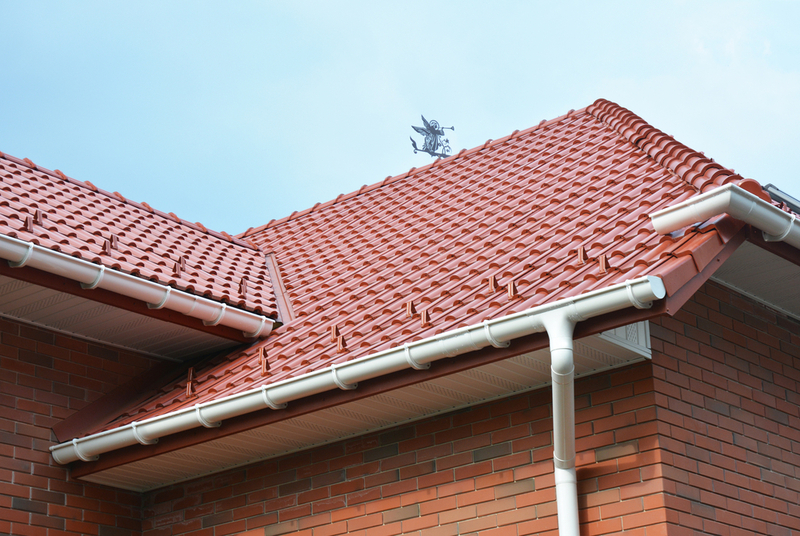 If your gutters are vinyl, they may be particularly susceptible to damage from storms or high winds. So check them more frequently than you would aluminum, copper or stainless steel gutters. Gutter systems are available in a variety of materials and colours, many of which can increase the curb appeal of your home. They do not have to be unsightly or detract from your home’s appearance. Vinyl gutters are considered the cheapest and easiest gutters to install, but they don’t do well in Ottawa’s winter climate. Freezing ice and the weight of snow can crack and cause the brittle vinyl to deteriorate. Also, vinyl gutters are not as environmentally friendly as aluminum, copper or steel which can be recycled. The most common gutter system is the seamless aluminum trough. These are fabricated onsite to your homes exact measurements for a perfect fit and less seams mean less potential leak areas. You can have a brand new roof installed on your home, but if you have not considered the effectiveness of your gutter system, then you have not fully protected your home from water damage. If your house has suffered water damage, it is important to consider the gutters in addition to the roof as the potential trouble area. If you do need to have your gutter system replaced, research your options carefully, and have them installed by a professional. 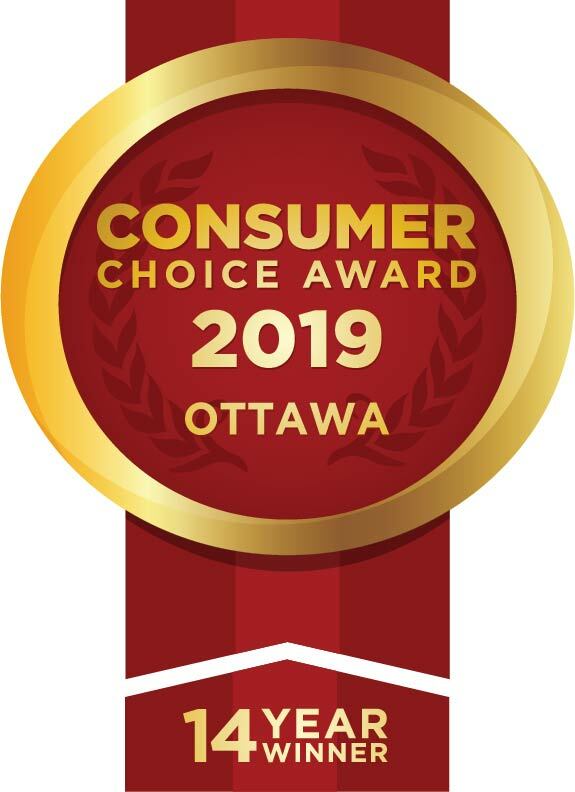 A professional like Roofmaster Ottawa will be able to install a seamless gutter (eavestrough) system that will avoid leaks and should require less maintenance. Consider the gutters an integral part of your roofing system. They are there to protect your home from water damage, so ensure that they remain in good repair.